How can I rate a reading? We would love to hear about your experiences with advisors and their services! Tell us what you thought of your advisor to help us ensure that we only ever work with the best psychic advisors. Please, fill out our quick survey by clicking this link. Advisors try to answer questions as soon as possible. It may take a few hours depending on how many questions they have been asked. You can check the average response time of an advisor in their profile. This will help to see how long it may take to receive an answer, however, make sure to pay attention to where they live, and the timezone. . If you are using an Apple device, you can also click on the “quickest” tab in the advisor pool to see the average response time. If you still haven’t received an answer after 12 hours, you can click the “cancel” button. This will recredit the question to your account and allow you to use it with another advisor. Should I enable push notifications? You can delete previous questions and answers simply by swiping them to the left. How can I cancel a question? If you waiting longer than 12 hours for a response, you can now cancel your question. All you have to do is click on your question and then click the “cancel” button. Your account will then be credited with a question for you to use with another advisor. Please bear in mind that if you need a speedy response you can check the average response time in an advisor’s profile. Register in the app with your name + date of birth + email. The details of our promotions are sent in our weekly newsletter to your email address. Make sure to open the email to find out how to can win some free questions! Fortunica is the #1 marketplace app for esoteric and psychic advisors. Bringing you only the best advisors on the esoteric world. As a marketplace, we connect you with real psychics. You can anonymously send a question on the public timeline or you can directly choose an advisor, and send them a private message, or even a picture. For each message you send, you will receive an answer, this can sometimes also contain a picture. You can then easily have follow up conversations by hitting the reply button and sending another question. Your questions are always 100% anonymous. Your name, email address, and date of birth will never be displayed. When sending a public questions other users will only see your starsign, age, and gender, keeping your profile information entirely confidential. Fortunica’s goal is to provide daily advice in all areas of life that you might be having concerns about: love, relationships, and destiny. It’s a public thread that displays all the publicly asked questions (and their answer). Only your starsign, age and gender are displayed to the advisor answering your question. You can love other users’ questions and rate the advisor answering them. In the timeline you will get an overview of the advisor’s style of answering, and then decide who is your favourite before asking them a question. At the end of the week fortunica awards a free public question to the user with the most loved question, and to the user who sent the most amount of love! How to send a public question? You will then need to choose your preferred payment method. How to send a private question? When purchasing questions you can either pay for them singularly, or as a discounted bundle pack. Whatever suits your needs better you can pay in a straight forward and simple way , directly through the App/ Play Store. Payment only takes a few seconds and you pay using the same method as you would when purchasing apps. For verification purposes, you are usually asked to enter your password or touchID. After the purchase, an invoice is emailed to you. You will then have credits available in form of public/ private questions (you can see your available credit on the package deals page in the app). Once you have purchased a pack, you will no longer be asked to select a payment method after sending a question unless you run out of questions. Why is it compulsory to add my email? Adding your email helps us to ensure that your account is always protected. If you want to change your device in the future it will allow us to move your account to your new device, including all of the questions you have purchased. Why don't I have a PIN? 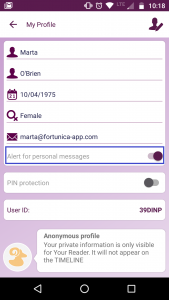 If you are reading this you might have noticed that we are no longer using a PIN in the fortunica app. You can now use your email address and password to lock your account, which will keep the fortunica app private, and is much more secure than a PIN. Every time you send a question, or purchase a package, you will receive an email confirmation. If you want to ask more than just one question, did you know you can save money by buying one of our special package deals! We offer several package combos that you can easily purchase. Packages allow you to buy questions at a discounted rate. Your questions will be stored in your phone until you decide to use them. You won’t need to pay every time you ask a new question, saving you time, and money! Perfect! As soon as you purchase a pack you will have credit available in the form of public/private questions (you can see your available credit on the packages page in the app). Once you purchase a pack, you will not be asked to select a payment option after sending a question until you run out of questions again. This is a unique welcome offer available to all users who register on fortunica for the first time. This pack is perfect for you if you are a newcomer. You will be able to try out the fortunica app and get a good idea of all the available advisors, and esoteric services like tarot reading or clairvoyants. If you want to ask more than just one question, did you know you can save money by buying one of our special package deals! We offer several package combos that you can easily purchase. Packages allow you to buy questions at a discounted rate. Your questions will be stored in your phone until you decide to use them. You won’t need to pay every time you ask a new question, saving you time, and money! Perfect! We highly recommend this pack for all users who prefer diving straight into private conversations with one or more of their favourite advisors. You will have your personal advisor’s support with you in any situation! The best option for everyone who loves to try out different esoteric advisors and explore the spiritual world in detail. Enough private questions available to help you even through the hardest of times, as well as to enable you to broaden your horizons. After selecting it you’ll have an expert understanding of all psychic methods – tarot, reiki, astrology, auras, clairvoyance, mediumship, spirits and more. For our most loyal customers, we have put together this very special package. Have you been using fortunica for some time now and enjoy receiving the support and advice from the psychic advisors? The diamond package gives you all the freedom you need. Ask questions to your dedicated advisors, whenever and wherever you want. Security and privacy are the key indicators for us. All payments in fortunica app are made through the Adyen service. This is fully compliant with the PCI DSS 3.2 standard as a Tier 1 service provider, which is the key security standard within the payment industry. Additionally, Adyen complies with the ISAE3402 / SOC 1 (Service Organizational Control 1), which evaluates and tests internal controls around the financial reporting of a service organization. All the packages on the shop are available for purchase directly on the app with your credit card or Paypal. If you prefer to use your Apple iTunes account to buy 1 public / 1 private question just click on (image of pencil) and choose your preferred option. After writing your question you will be able to pay with your Apple account. If you prefer to use your Google Play account to buy 1 public / 1 private question just click on (image of pencil) in the public timeline and choose your preferred option. After writing your question you will be able to pay with your Google account. Advisors try to answer questions as soon as they are available. It can take up to a couple of hours depending on their workload. You can check their normal response time in their profile to have an idea on how long it usually takes them to answer a question. If you are using an Apple device, you can also click on the “quickest” tab in the advisor pool to see the average response time. Please bear in mind that advisors are real people and are not always available. Many advisors will live in different time zones to you. In addition, they also need time to work on the reading process in order to guide you with the best possible answer. If you still haven’t received an answer after 12 hours, you can click the “cancel” button to cancel your question and send it to a different advisor. How can I rate an advisor? We would love to hear about your experiences with your advisors, and their service! Let us know how much you liked your advisor, and help us ensure we only work with the best. Please, fill out our quick survey by clicking this link. There are many factors that can influence a reading. A crucial one is the advisor’s mindset and spiritual state of being during the time of the reading. If, for some reason, an advisor says something about you that it is not true, it may be due to their personal state of mind at the time. Bear in mind that advisors are real people, just like us, who have the same struggles in life, so nerves and human reasoning can get in the way of providing the most accurate reading. Another factor that can play a role is the lack of information: for instance, if you use a method such as tarot, cards mean different things depending on your current situation, e.g. if you are married or single. That’s why we always stress on how important it is to provide as much information as possible for a reading. My prediction doesn't come true. Readings are not set in stone. • Readings are not a matter of fate thus they do not dictate your future, but rather display the energy you already set in motion. In other words they illustrate the path through which a situation is heading to. • A great aspect about readings is that they are mutable, which means that you are the editor of the story of your life. You can either walk your way towards a desired prediction or step away from it – in any case, advisors on fortunica can give you tips on how to shape the preferred outcomes. • In order for psychics to perform an accurate reading, they need to have access to as much information as possible regarding the situation you are asking about. The more information advisors have, the more accurate the readings will be. You can gain more control over the outcome of your reading by asking your advisor for tips on how to stay on track for the desired prediction or how to avoid it. In addition, you should select an advisor with whom you really feel you have a connection with. Psychic energy plays an extremely important role so the better your connection with your advisor, the easier it is for the advisor to connect with you and your future. We will be sad to see you go, but all you need to deactivate your account is uninstall the app. If you wish to have your personal data removed from our system, please contact our customer support by sending us an email. Why should I fill in my personal details to use the app? You want to ask an advisor a question, and get esoteric help with something that has been on your mind for a while. We know that you have already read the guide on how to ask a question? If not you can find it here. By filling in your personal details, such as your date of birth, and gender, you will be providing astrologers, numerologists, and tarot readers with all the information that they need to perform an optimal reading, and give you all the information that you deserve. Your account and personal information will always be private. When you ask a question on the public timeline, only your age, starsign, gender and question are displayed. When asking a private questions, advisors will also be able to see your name, so they know how to respond to you. Being able to see your name is also especially helpful for the numerologists on the fortunica platform! You can love questions asked by other users on the public timeline, and support them through their hard times. Similarly other users can love the questions that you ask on the public timeline. If your question is the most loved question of the week – lucky you! You will get a free private question! You can also rate readings by clicking the star button on an advisors answer. This allows other users to see who the best advisors on fortunica are – these advisors will then be displayed in the “top” section of the advisor pool – letting you message them, and get your answers even quicker than before! Did you know that you can send pictures to readers in private message. Some of the psychic advisors use pictures for special readings (facial readings, palm readings, aura readings etc.). You can take a look at an advisor’s profile or ask them directly. Advisors can also reply to your message by sending you a picture message of their own, for example of the tarot reading that they performed for you. Be sure to ask them, if this is what you would like. 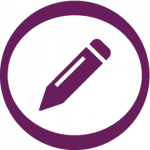 Want to share your reading on Facebook, WhatsApp, or maybe even Snapchat!? You can do it with the share message function on fortunica. Simply ask your question to an advisor, and then click the share icon when you get your answer. Let others know how much fortunica is helping you get all of the answer that you need, and share your favourite advisors with others. So you want to get notified when an advisor responds to your question? That makes sense! You’ll need to enable push notifications on your phone to do this. To receive push notifications on your phone please go to your ‘account settings’ and make sure that your “alert for personal messages” is turned on. 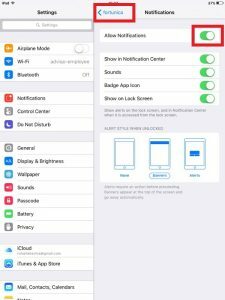 On your iPhone: go to settings > scroll down to ”fortunica” > tap on “allow notifications”. On Android: open the app > go to your profile > tap on “alert for personal messages”. Sometimes when you switch to a different language in the app’s settings, your notifications may deactivate. To make sure you get notified about incoming messages, please check your account settings every time you change the app’s language. Why am I not receiving the newsletter? If you aren’t receiving the newsletter it is possible that it has ended up in your spam folder. If it isn’t there, please send us an email, and we’ll make sure you receive it!